And 5SOS' Ashton proves that they even celebrate Ireland in Australia. Mind. Officially. Blown. 4. 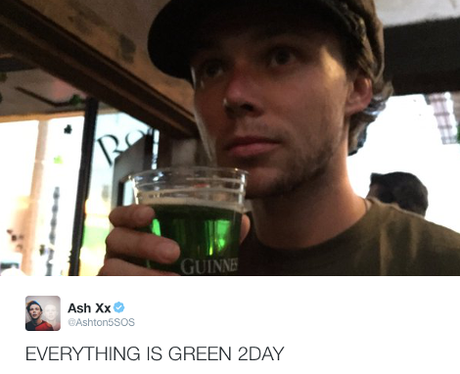 And 5SOS' Ashton proves that they even celebrate Ireland in Australia. Mind. Officially. Blown.